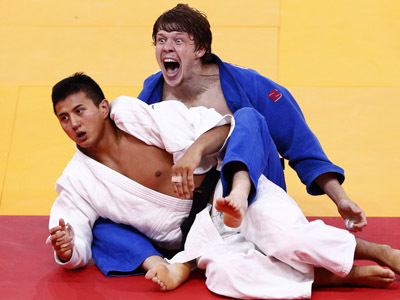 Tagir Khaibulaev has claimed Russia's third gold in London, as Russia continues its dominance in Olympic judo. Anything could have happened in the final, but one thing was known for sure – the 100-kilogram judoka master wouldn’t be left without high-profile support – in the form of President Vladimir Putin, accompanied by Russia’s Olympic boss Aleksandr Zhukov and a whole bunch of other Russian officials. 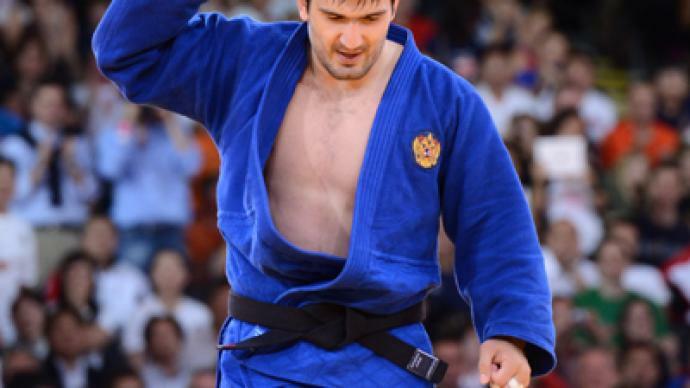 And Khaibulaev made their day, stylishly defeating defending Beijing champion Tuvshinbayar Naidan of Mongolia with a match-ending ippon to make sure the president, Russia’s main judo fan, would give a standing ovation. The 28-year-old became world champion last year, and hasn’t lost at an international event since taking the title. 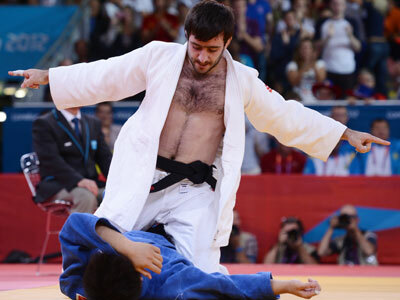 Russia won two judo gold medals, the country's first since the breakup of the Soviet Union, and a bronze earlier this week. In the women’s event, American Kayla Harrison beat local favorite Gemma Gibbons in the 78-kilogram category. The bronze medals were won by Audrey Tcheumeo of France and Mayra Aguiar of Brazil.